The aim of this study was to evaluate the effects of Neydharting mud-pack therapy on the clinical parameters and quality of life in patients with knee osteoarthritis. 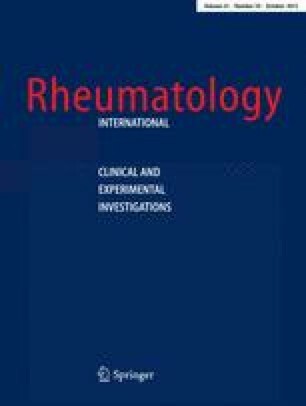 In this double-blind, randomized, follow-up study on 53 patients with knee osteoarthritis, one group received hot mud-pack therapy, whereas the other (control) group was treated with hot packs of a substance manufactured on 10 occasions for 2 weeks. Western Ontario and McMaster Universities Arthritis Index (WOMAC), EuroQoL-5D quality-of-life measure and need for analgesics and non-steroidal anti-inflammatory drugs were recorded before treatment, at the end of treatment (at Week 2), and at Weeks 6 and 12. The WOMAC and the EQ5D quality-of-life scores improved from the baseline to the end of treatment in both groups, and further improvement was observed during the follow-up period (p < 0.001, respectively, in both groups). The need for medications for knee joint pain improved in both groups, and these changes were significant only in the mud-treated group (p < 0.001), but not in the control group (p = 0.106) compared to baseline. The number of patients requiring medications for knee joint pain showed a continuous downward trend at the subsequent post-treatment visits by the mud-treated group, and these changes became significant by Visit 4 compared to baseline (p = 0.016). The control group showed only temporary and not significant decrease. The difference was not significant between the groups in any of the outcome parameters at any visits. The Neydharting mud pack has a favorable effect on the clinical parameters, quality of life, and need for medications in patients with knee osteoarthritis. To evaluate the chemical effect, the number of patients should be increased. We would like to thank Mrs. Margit Kázmér-Dubecz, chief pharmacist (Pesti Szent Margit Pharmacy, Budapest, Hungary), for preparing the control pack and Ms. Katalin Hodosi (Institute for Internal Medicine, Medical and Health Science Centre, University of Debrecen, Debrecen, Hungary) for the statistical analysis. Regarding material costs, this study was sponsored by Felicité Kft.